Yes Scotland's first annual Independence rally, a photo by PhylB on Flickr. 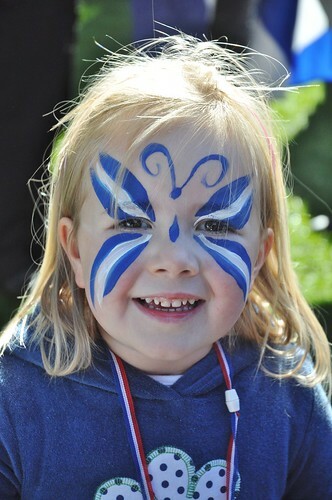 On Saturday daddy took us to a fun day in Edinburgh with flags and face paint and a castle. We got to go on a bus. It was great fun and I think the others enjoyed it too.